Society of Ancients News: 'Legion' reissued. EDIT: Legion has proven so popular that it has already sold out! We have ordered another print run and will let people know as soon as it is available for purchase. Hopefully it will not be too far away. 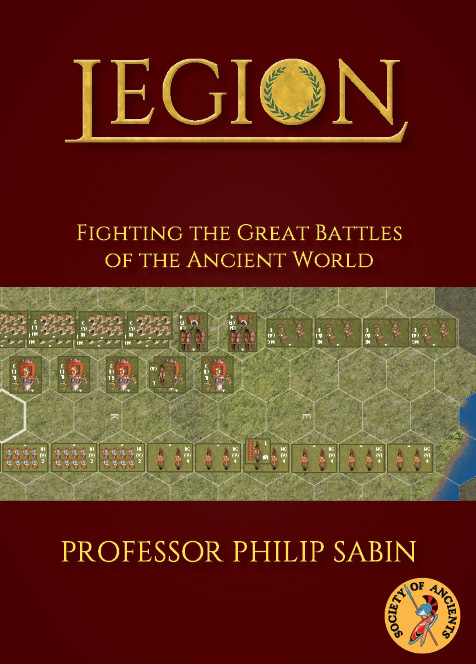 The Society of Ancients is proud to present our 2015 reissue of Legion, the second in Phil Sabin's classic trilogy of grand-tactical explorations of ancient battle. Reprinted with new board and counter art, Legion revisits 36 pivotal battlefields of the ancient world, from the desperate fighting between Athens and Persia at Marathon in 490 BC through to Caesar's final victory at Munda four hundred and fifty years later. - The rules and scenarios are unchanged from the first edition, but where the original game was designed primarily for use with figures, Justin Swanton's new board and counter art is designed to be played as printed. - The rules and scenarios are based wherever possible on primary sources and are designed for simulation as well as play value. A handicap system gives both sides a chance at game victory. - In addition to the full historical scenarios, Legion includes a fast-play introductory game and rules for tournament-style play. - Although more detailed than both Phil Sabin's earlier game Phalanx and his more recent Strategos/Lost Battles system, Legion can still be played to completion in two or three hours and is suitable for both across the table and solitaire play. 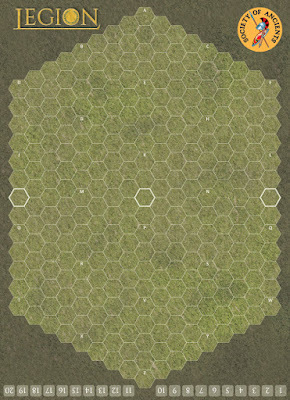 - The game emphasizes troop quality over troop quantity, the importance of leadership, includes rules for weather and terrain, and scales to accurately represent different battles. It is available now on the Society website for £15 (£12 for Society members) plus shipping. Full contents (as seen below) include: rules booklet, game board, counter sheets, terrain sheets, quick reference sheet. Note that some assembly is required.